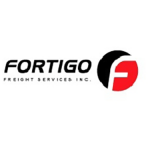 Fortigo Freight Services Inc. is a service company with a proud and distinctive reputation in the transportation industry. With roots extending back to 1975, Fortigo has been fortunate to have evolved with a stable core group of talented drivers, operational managers and executives. Our industry leading on-time performance and commitment to customer service are our greatest sources of pride and continue to drive our growth as a dedicated transportation provider. These core values keep us consistently focused on the most important aspect of our business…serving the best interests of our valued customers.